"Future advantage will go to those who create the best technologies and who integrate and field them in creative operational ways that provide military advantages." The New B-21 Stealth Bomber: Flying Much Sooner Than Expected? The Air Force appears to have completed its Critical Design Review of the emerging B-21 bomber, inspiring confidence and optimism that a new-generation of stealth will be ready for war by the mid-2020s, and beyond. 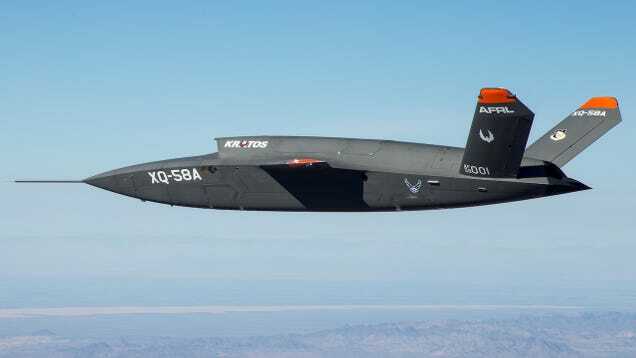 The apparent program progress does, at very least, raise the question as to whether to new bomber could be an important element of the service's "faster" acquisition strategy. The unmanned aircraft "have the potential for dramatically changing the game in the conduct of air operations." AGCAS uses sensors to identify and avoid ground objects such as nearby buildings, mountains or dangerous terrain; AGCAS has already saved lives, senior Air Force officials tell Warrior Maven. In the absence of a heavy bomber, the Luftwaffe pushed its medium bombers in World War II to the limits of their endurance. The U.S. military wants to put artificial intelligence in the cockpit, as an assistant or AI-powered wingman. Could a rethink of U.S. acquisition policies bring back the heady days of the “Century Series,” a time in which the Air Force could pick and choose between a variety of different fighters specialized in certain tasks? Could such an approach free the Pentagon from the specter of another gigantic, F-35-sized procurement project? "So it perhaps is natural that we'd ask whether the F-22 was the right choice. Maybe, just maybe, the F-23 could've succeeded where the F-22 failed. What if the Air Force had picked the other stealth fighter design? What if America were stronger? What if we were safer? What if the whole world were a better place?" The Air Force is now arming its fleet of B-52 Bombers with prototype nuclear-armed cruise missiles to prepare the aircraft for the possibility of launching the Long Range Stand Off (LRSO) weapon. The Air Force is massively speeding up a new networked surveillance system intended to collect, organize and disseminate pressing attack information in extremely high-risk environments including enemy stealth fighters, advanced air defenses and armed drones.